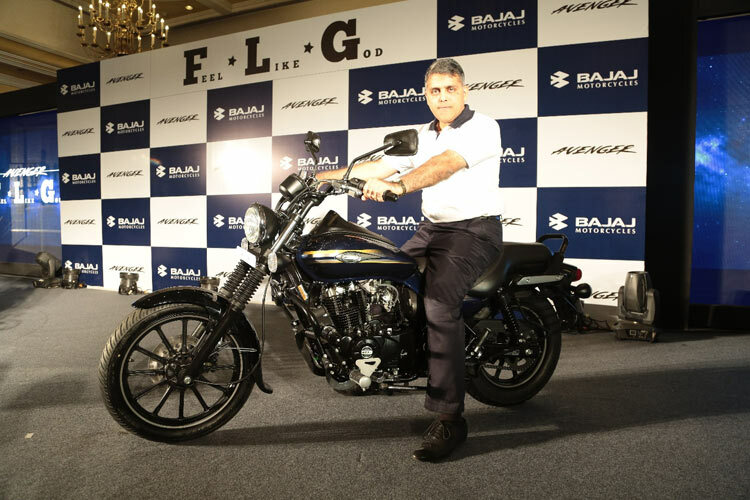 India’s leading two wheeler manufacturer, Bajaj, today launched their exciting much awaited new range of Avenger bikes – Avenger 220 Cruise, 220 Street and 150 Street. The newly launched Bajaj Avenger 150cc, is a show stealer – as it becomes the first bike to enter the cruiser segment in the 150cc category. Bajaj is laying emphasis on great handling and international styling to meet the everyday need. 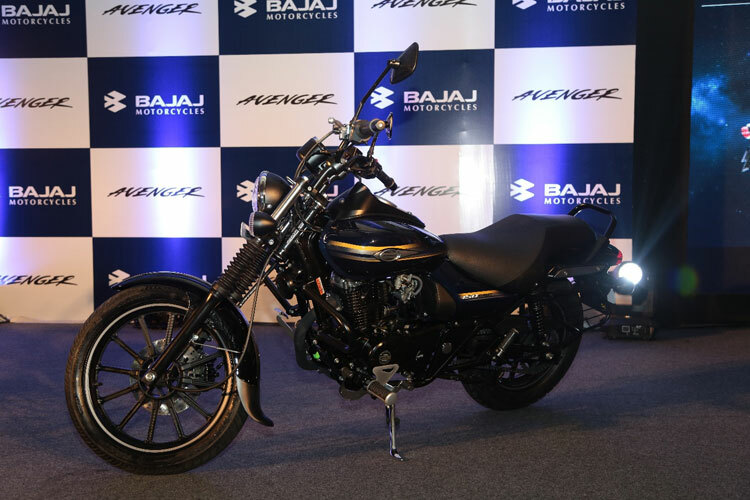 While the ex-showroom price of Bajaj Avenger 220 Street and Bajaj Avenger is Rs 94,000 (Delhi), the Avenger 150 Street has been priced at affordable Rs 74,000 (Delhi). Bajaj Avenger range is going to be manufactured at the motorcycle plant at Chakan near Pune of India. The genuine cruiser segment has steadily grown over the years with the Avenger as the torch bearer. We expect that by bringing in an additional style variant such as the Street, and by offering the popular 150 cc capacity, we will significantly expand the cruiser segment. With the new Avenger models joining the immensely successful Pulsar range, Bajaj Auto shall strengthen our offerings to discerning customers in the Indian market, and reinforce Bajaj Auto’s leadership in the premium motorcycle segment. The all new Avenger series from Bajaj redefines the cruiser bike segment by offering the unmatched international styling and cruising comfort. Essentially, there are two 220cc bikes which was introduced today – One, the new Avenger 220 Cruise which retains the classic cruiser comfort and looks, the other one is 220cc Street range, which is specifically designed for easy city riding. Under the hood, both Cruise 220 and Street 220 comes with similar specifications. The Avenger 220’s are powered by Bajaj’s trusted 220cc DTSi engine to deliver great performance , which is capable of churning out a maximum power of 19 PS and a peak torque of 17.5 Nm. These Avenger bikes come with an oil cooler to help maintain the engine oil temperature & viscosity irrespective of external riding conditions. Read more about Bajaj Avenger Street 220 and Bajaj Avenger Cruise 220. The new Avenger Street 150 has been introduced to bring the genuine cruiser experience to the all important, emerging 150cc users. The Avenger 150 Street’s engine is a 150 cc DTSi, which has been completely revised for this bike: it delivers 14.5 PS of power and a torque of 12.5 Nm which is enhanced at low rpms, making it an excellent match for the Avenger riding style – promises better torque in low/mid range. The all new Bajaj Avenger Street 150 shall employ disc-drum brake setup, has 14 litre tank capacity and weighs 148kg. Read more about Bajaj Avenger Street 150 . All in all, there are 3 color options available, divine black for classic, matte black for street 220 and matte blue color for 150 street. The Adventure Cruise 220, Street 220 both will be priced at Rs 84,000/- and Street 150 at Rs. 75,000/- (all Ex-Showroom Delhi). All the 3 Avenger bike launches looks promising in terms of design and handling. The Chasis on all the 3 Avenger bikes are almost same and adds to its elegance. All engines are newly refined and tuned with new CDI’s. Bajaj has almost doubled their capacity at their Chakkan plant with capacity of 100000 units/month. The bookings and delivery of new Bajaj Avenger bikes starts immediately. 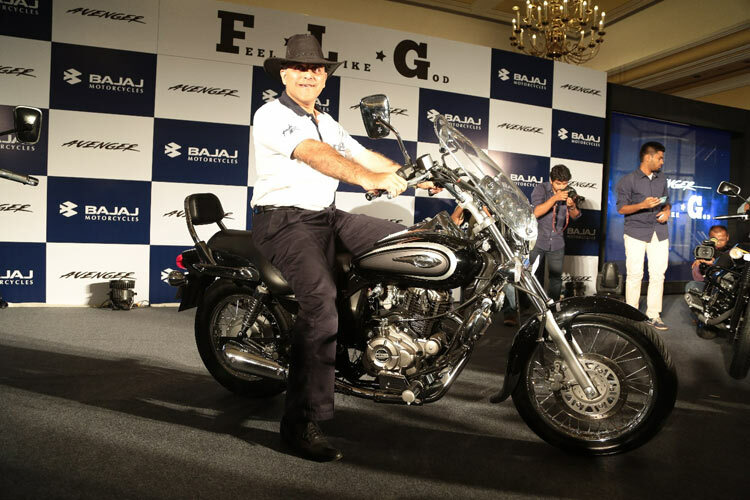 What do you think of today’s launch of new Avenger range of bikes from Bajaj? Let us know by commenting below.